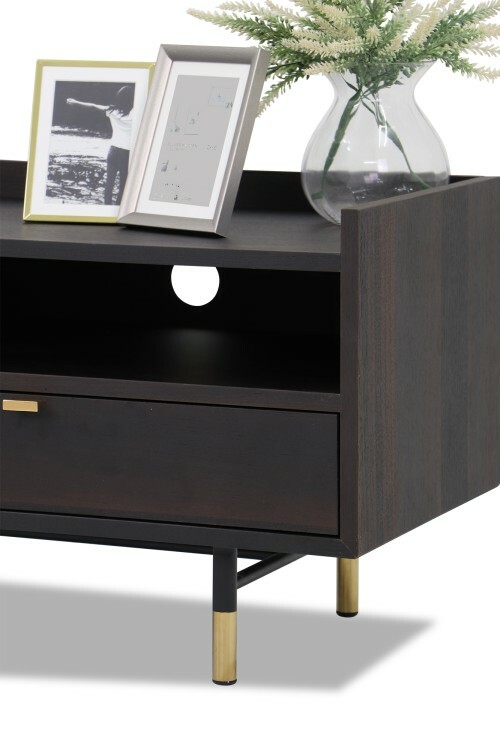 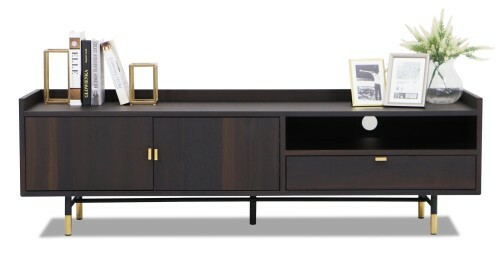 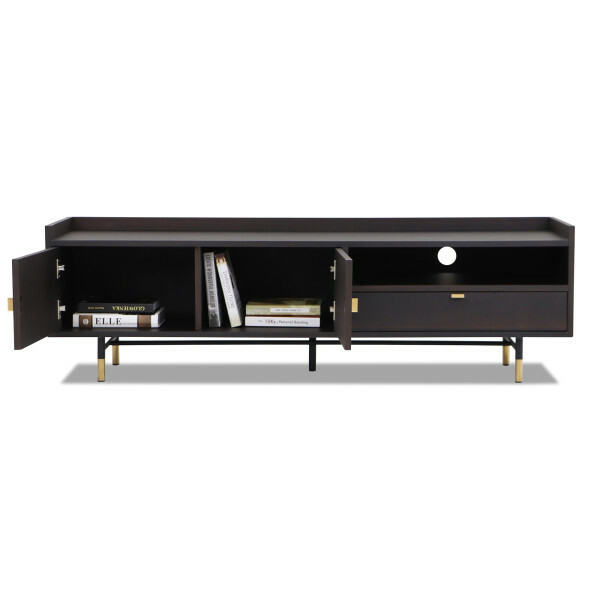 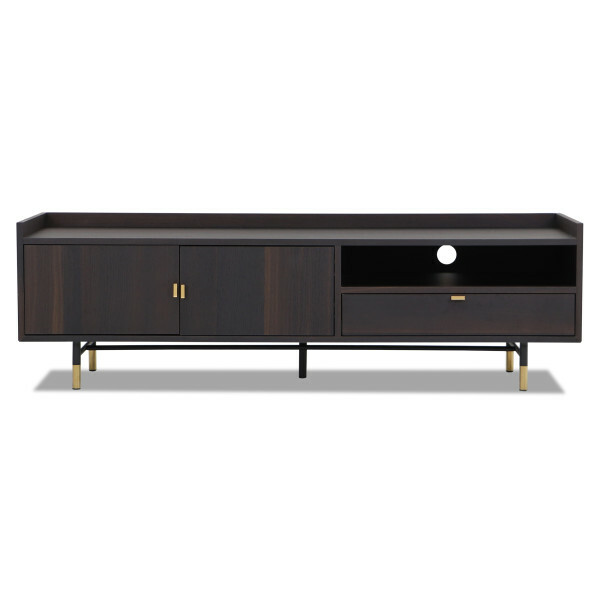 Adopting the Modern Classic look, the Edward TV Console is clad with a dark wood veneer finish on MDF. 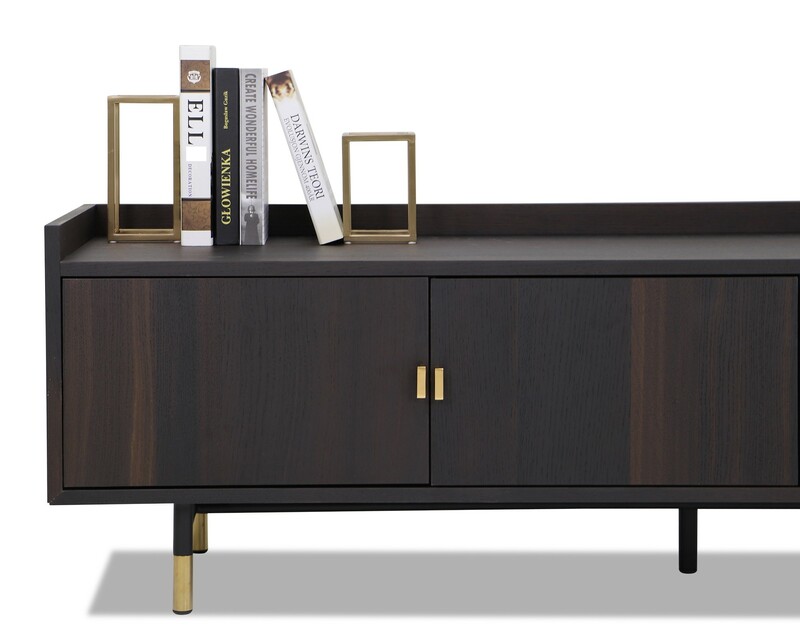 Small details such as golden capped legs and brass handles add elegance to the TV Console, making it easy to integrate into any interior theme relating to elegance and glamour. Your entire TV entertainment unit will be complete with this console as a base. 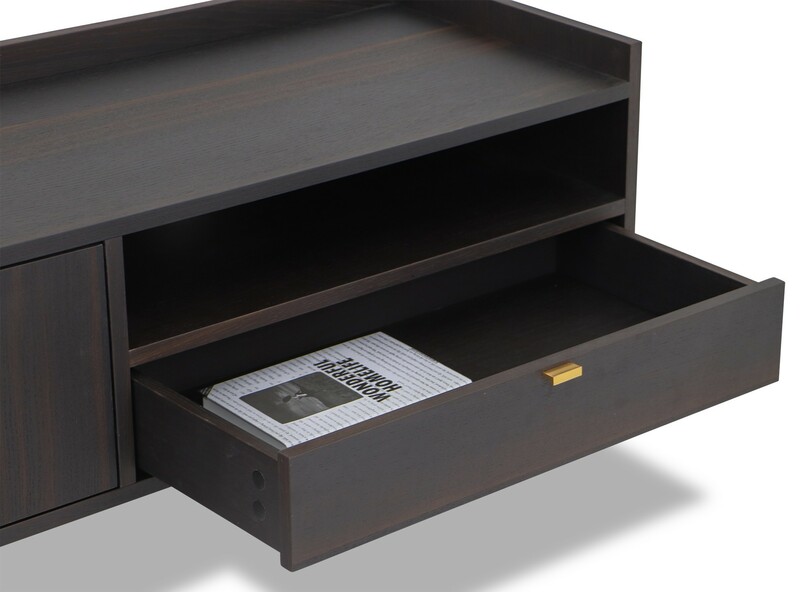 The drawers are spacious and come with a soft-close mechanism that can potentially help you avoid loud slams. 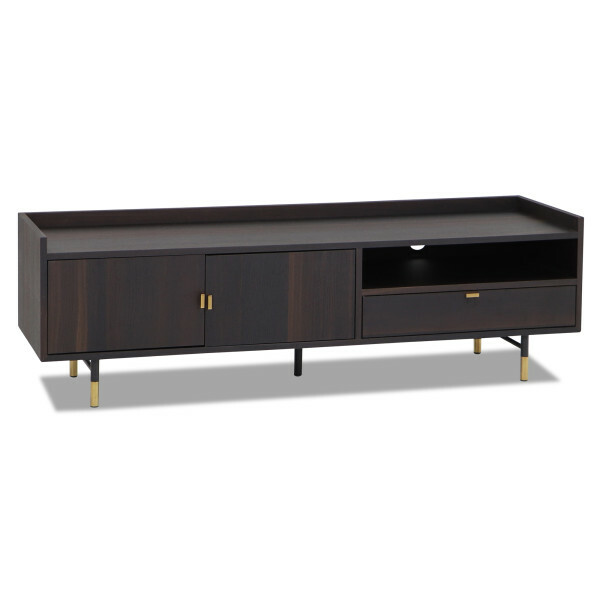 Pair it with the Edward coffee table for a more holistic look in your home.